Between the many improvements that Mozilla has recently introduced to Firefox, its star product, is the "Inspect Element" tool, specifically designed for web programers and designers. 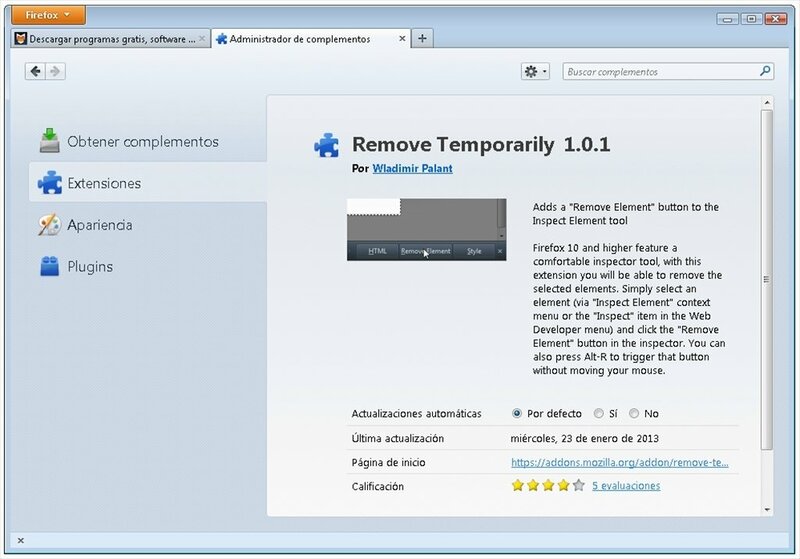 Remove Temporarily is an extension that adds an additional button for removing parts of a website. A very practical utility for changing the aspect of a website. Use Remove Temporarily to configure the aspect of a page before printing it, for example. Then, all you have to do is refresh for it to recover its original form. 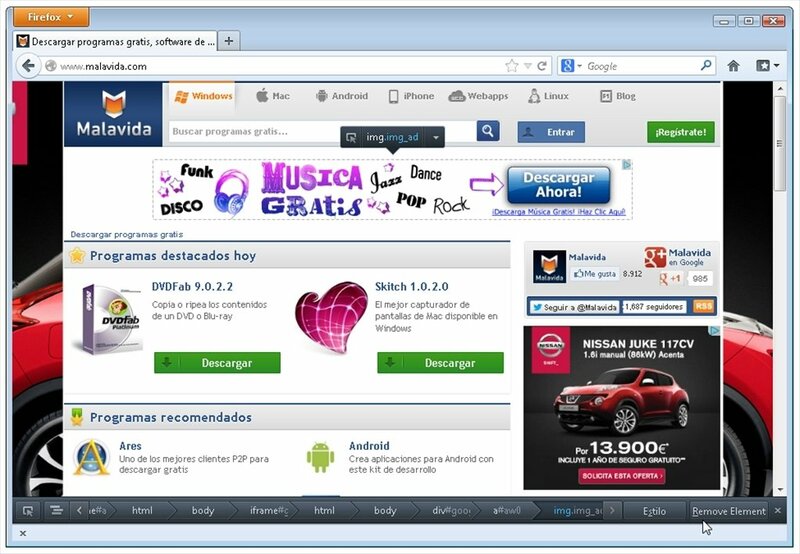 Adjust the aspect of any webpage with the "Inspect element" tool in Firefox. New button for this purpose. To use Remove Temporarily all you have to do is open the "Inspect Element" tool from Firefox menu button or the context menu. Once the utility is visible you will see a new button called "Remove Element". Simply select which part of the web you want to hide and press the button: it will disappear automatically. This is a temporary solution, as the page will return to it's normal state as soon as you refresh. 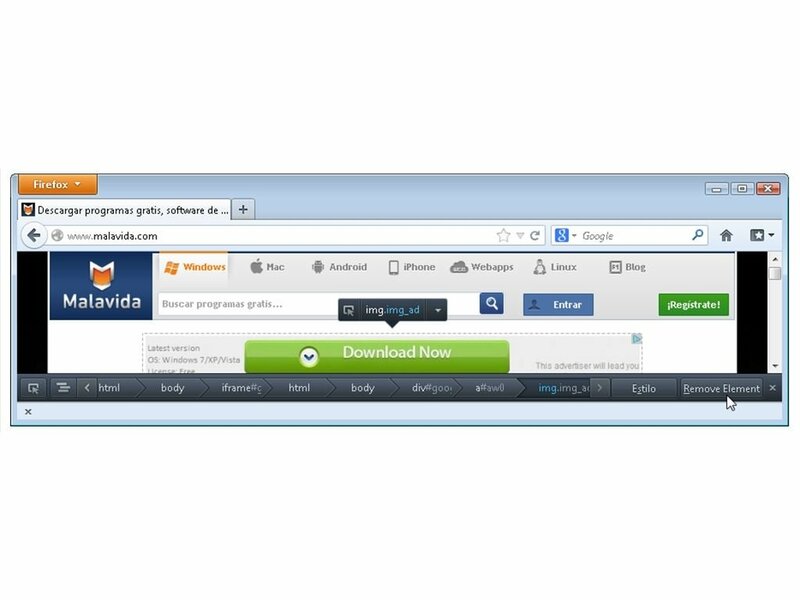 Adjust the appearance of any webpage depending on your needs by downloading Remove Temporarily free. Requires Firefox to be installed.